The HKR GmbH makes every effort to provide accurate, current and complete information on the website and revise or add them as necessary and without prior notice. Nevertheless, we have to exclude for accuracy, timeliness and completeness of any warranty, liability or guarantee . This also applies to all links , called hyperlinks , offering the HKR GmbH on the website directly or indirectly . The HKR GmbH can not assume any responsibility for the content of such external sites that you visit through a link or other information. 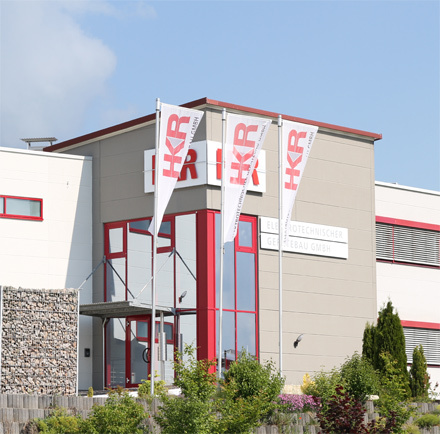 Furthermore, the HKR GmbH shall not be liable for any direct or indirect damages (including Lost profits) , which can be attributed to the information provided on these external sites . The content of this website is protected by copyright. Any concerns regarding any of the contents of our website to third parties is not permitted. Copyright law also prohibits the storage and reproduction of images or graphics from our website.